As a business owner and personal brand entrepreneur, building your list has got to be a constant and central activity when expanding your online business. If it’s not, you’re ultimately going to fail. You could still make a little money here and there and maybe even build up some notoriety, but at the end of the day, the money is in the list. It has been like that for a long, long time and it will continue to be that way. In fact, even with all the bells and whistles of Facebook ad retargeting and advancements in social media platforms, whenever I speak to anybody who takes their online platform and marketing seriously, they always come back to email. It’s the staple not only for getting helpful information to your tribe on an ongoing basis but also for staying in touch with them about your offerings – offerings they need to find the right solutions to their problems. The funny thing is that if you work with any Facebook ad manager, they will all ask you for your email list so they can retarget your email subscribers on Facebook via advertisements. So, even if Facebook advertising is your goal, you want to start collecting email addresses as soon as possible. 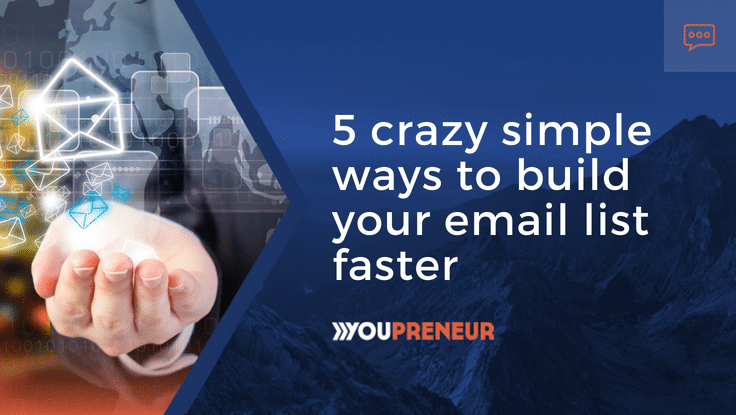 In a conversation I had with Bryan Harris, Founder of Videofruit, I grilled him on how we can grow our email marketing lists faster, but also simpler. Far too many people complicate this essential process of online business. But if you keep it simple, everything after becomes easier because the systems are already in place. List-building, as a whole, changes so often, we’ve got to keep things up to date. Check out these strategies to grow a high-quality email marketing list faster without wasting hours on a Google scavenger hunt. Think about what stage of the email list building process you are at and use strategies that will work for that place. If you have no people on your mailing list think of strategies that you can use to attract people and grab their attention. If you have 10,000 subscribers on your list already have a relationship with your audience. Think of strategies you can use to keep them engaged and stay on their radar. When you’re starting from zero, begin with this really simple step. Take out a piece of paper, pick up your phone, and go to the last ten people you texted. Send a text and tell them about the weekly newsletter you’re starting and ask if they want in. Almost everyone is going to say yes. What happens with most people who try to start their list is that they get super complicated and try to get cold traffic. But the place to start isn’t writing some big, epic blog post that you hope will bring in tons of new subscribers. Asking your contacts to join your list is what works. Set up a basic landing page with an opt-in form and send them the link. 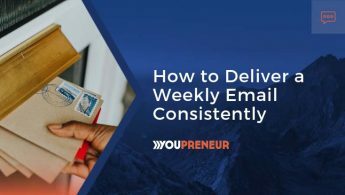 By focusing on contacting everyone you know and asking them to join your email list most people will get 100 people on their list in 24 hours. Go to those people that joined and ask them if they know two other people who would be interested in the newsletter as well. It sounds stupidly simple, but it works. Once you’ve exhausted your contacts, go ahead and set up your email service provider and website. THEN, you need to get traffic and grow your list. What works well for this is the ‘poster boy formula.’ When you’re trying to get random people on the internet to find you, this is what you want to turn to first. Step one is to make a list of 5 podcasts you listen to, five courses you bought, and five blogs you read. Make a list of 15 people you follow. Spend a few minutes thinking about at least one thing you’ve learned from each person and one thing you’ve implemented. Reach out to them and tell them thank you for that. This works because the best way to sell a product is by showing success stories. 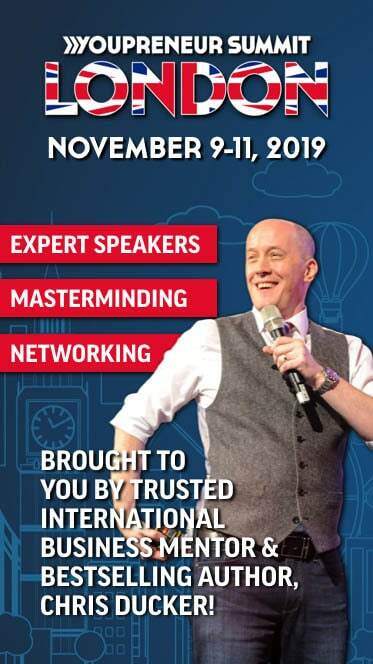 You want to be the next poster boy for peers in your industry to build some incredible relationships and get the traffic you need. You can do this on a weekly basis! I don’t think we say thank you to the people who help us as much as should. Tell people thank you, genuinely mean it, and let that relationship naturally grow. If you’re over 1,000 subscribers on your email marketing list, you want to check out the upside down home page template and content upgrade strategies. On almost every website, the majority of traffic comes to 10 pages. You could have 1,000 pages on your site, but most people are only going to see 10. Because of that, you want to be focusing on your top 10 pages, and that’s where these strategies come in. First, go to your root domain and instead of having a blog feed on that page, use an upside-down homepage template. 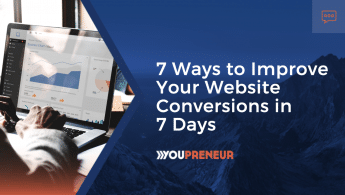 This can be huge for your conversion rate because it makes it simple for your audience to do the thing you want them to do – sign up for your email list! Your top 9 most popular blog posts are next. For each of these, you’re going to create a content upgrade. This strategy takes the concept of a lead magnet and makes it much more effective. The reason someone is reading a post is to learn something they can do for themselves. 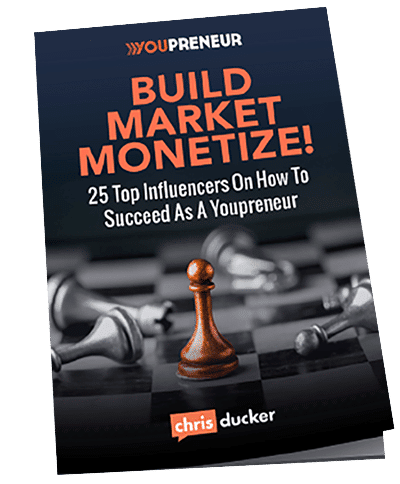 To connect with this need, you want to create a lead magnet with a strong call to action specifically for each one of your top 9 posts to radically increase the opt-ins you get for your most popular blog traffic. It doesn’t have to take hours to put together a valuable content upgrade. What you have to do is ask yourself, “What would help someone take the first step quicker? What would make it easier for someone to take the first step to get this result?” Turn on your phone and record yourself talking about the next steps. Answer questions you know people would have about the topic. Create a tutorial. Add this video as your content upgrade. It can be as simple as that. After someone reads a thousand word blog on how to do something, they’re probably going to feel overwhelmed. By creating a content upgrade that makes taking the first step easier, you’ll create massive value for your audience.